Crucial bus services are at risk as infrastructure funding is devolved to local decision-makers without appropriate national guidance in place, transport leaders have warned. Greener Journeys – the campaign to promote sustainable travel – calls on the Government to safeguard the vital contribution of buses to the economy and communities by making a National Statement on Local Bus Infrastructure to guide spending decisions by local decision makers. With the cost of congestion to the UK economy set to rise by a staggering 63% by 2030, to £20 billion per year1, investment in local bus infrastructure is essential to increase network reliability, reduce journey times and tackle local air pollution, with significant knock-on benefits for growth and jobs. The guide will be launched at the landmark UK Bus Summit on 12 February 2015, the first of its kind for 15 years, with Government ministers including the Secretary of State for Transport, Rt Hon Patrick McLoughlin MP and Minister of State for Transport, Baroness Kramer set to speak at the event. “As the Department for Transport devolves its capital funding, it is essential that vital bus infrastructure is supported in local growth plans. Over recent years our research has time and again shown just how crucial buses are to helping people into work, driving economic growth in Britain’s towns and cities and to building cohesive and prosperous communities. “I welcome today’s report on how to deliver successful bus infrastructure schemes and to make transport networks perform better. We stand ready to work with local enterprise partnerships, to harness the full potential of the bus to generate growth, boost jobs and protect the environment. “The report highlights increasing recognition that investing in transport networks can improve economic productivity and competitiveness, leading to growth in economic output and jobs. “The creation of the Local Growth Fund and investment in local economies through Growth Deals presents an opportunity for local decision-makers to make a long-term commitment to investing in transport infrastructure. 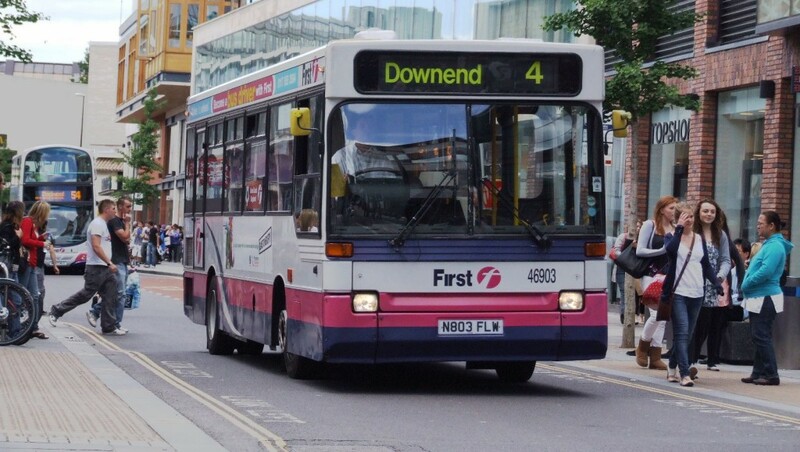 The report concludes that in our towns and cities, investing in high quality local bus infrastructure must be considered as a key ‘enabler of growth’, improving connectivity and creating economic hubs. The Bus Summit will take place on 12 February 2015 from 9.00am – 4.30pm at Kings Place, 90 York Way, London, N1 9AG. Entry for media is free. More details can be found here. The report draws on a series of interviews with 60 stakeholders from local enterprise partnerships, local authorities, trade associations, interest groups and bus operators.